For years he has been steadily working his way up: Johannes Sigmon or Blaudzun. He's a remarkable appearance, not just because of his notable look, but also because of his unique voice. A voice that can give songs a melancholic layer, but also is chasing the dark. This is an impressive sight on stage as he proved on the Lowlands festival a few years ago. Recently his performances on Dutch TV shows spawned many praises and he managed to reach a wider audience. And now he's adding album number three to it: Heavy Flowers. Heavy flowers, hanging in a vase. Not completely withered, but clearly on their way, waiting for the inevitable. That's what Blaudzun likes to write music about according to himself. Not necessarily about doom days, the definite end, but more about the perishable. So he's consciously looking for the darkness. And this fits the melancholia in his music perfectly. But Heavy Flowers actually sounds a bit lighter than his earlier work. It didn't turn into a typical singer/songwrier record. Blaudzun intended to keep it small, but went into the other direction instead. The songs got rich arrangements and are putting down a nice, sometimes even enthusiastic vibe. A wide variety of instruments has been opened up. He's using guitar, lap-steel, ukulele, harmonica and banjo, which give the songs a lot of variety. His brother Jacobus is mostly responsible for this diversity. And so the he beautiful, a bit moody title track 'Heavy Flowers', is followed by the light 'Le Chant Des Cigales', that could have easily been in Arcade Fire's repertoire. This is also striking for the change in style compared to earlier work. The dark side is getting enough counter-weight from light and sparks of hope, so it's not just sadness. Now and then you can still hear a band like Sixteen Horsepower, but less obvious than before. Heavy Flowers turned into a sparkling, layered album. Nicely built up with good thought through compositions, strong lyrics and great vocals. 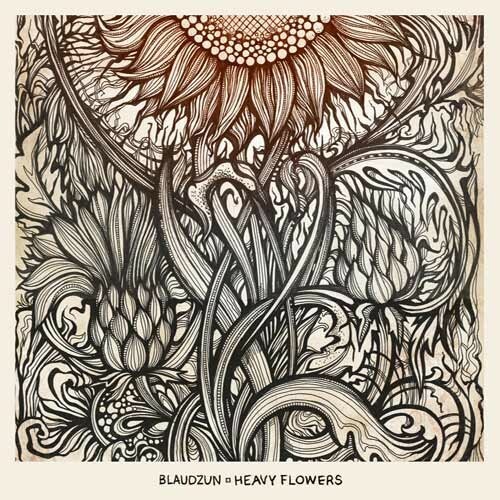 Blaudzun is proving his talent once again and has established his name. A break through to a big audience is only a matter of time. The Netherlands has gained a great artist. Listen to 'Heavy Flowers' on Spotify.